Vitamin K Serum may aid in reducing dark under-eye circles, rosacea, and spider veins. This vitamin, also known as the “blood clotting” vitamin, is often utilized by surgeons after surgery, because it encourages blood flow which in turn, helps the body to heal quicker and with better results. When applied as a serum, this nutrient helps improve the appearance of dark under-eye circle, rosacea, spider veins, as well as, help speed healing and ease the severity of bruising. 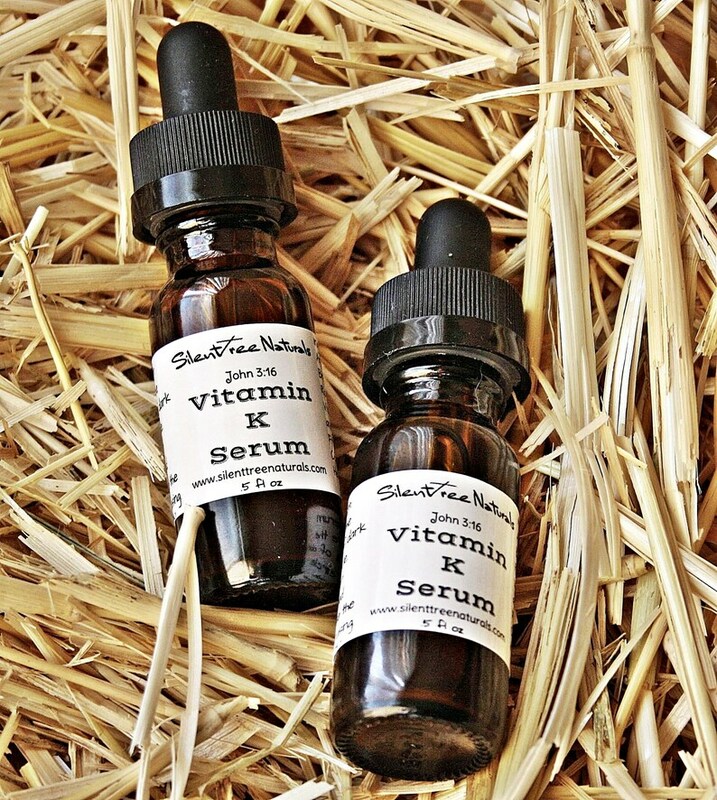 Researchers believe that vitamin K1 serum can even reduce the appearance of fine lines and wrinkles. This serum‘s base is Arnica-infused Rice Bran Oil. Arnica is renowned for its antimicrobial and anti-inflammatory properties, useful for healing bruises, among a host of other issues. *Remember, with oil moisturizers a little goes a long way, so 5-8 drops should suffice. Arthritis oil is working, too! Very nice oil! Thank you!